Last week the Raya and the Independence day falls in the same day, had a few days off. So I went to the Pandan beach with my fiends, and also for Raya visiting (yumm yum, I finally get to eat the satay). 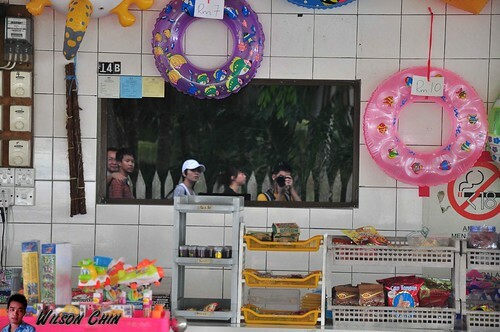 The top photographer Wilson Chin (me), this is the grocery shop just right next to the beach. 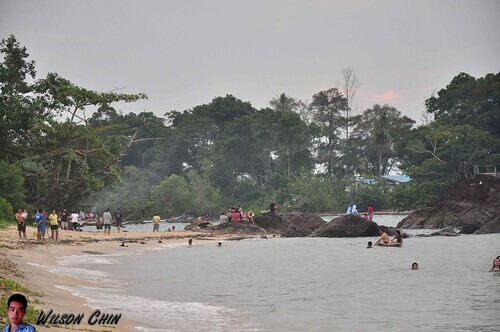 This is a public beach, so there are a lot of people came here to spend their holiday. 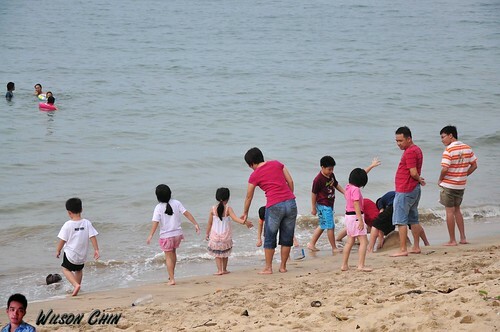 My parent use to bring us to the beach when I'm little, miss the old days. Nice pic, the first one. :-) Havent been to Pandan in 5 years already. It looks cleaner than before. the wave is not big enough, I'll be going to Damai next month, so I hope the wave will be bigger, and stronger there. why do u need bigger waves? ur planning to surf kah? lol. hmm~~never think of surfing before, yeah, I might try that if have chance. hehe.